Why you don't want to post about your break-up on facebook. The facebook mistakes you don't want to make. Stop before you embarrass yourself and ruin future relationships. You should never be judged or measured by the trying times in your life. It is unfortunate but sharing information about these times on social media creates a time capsule you might later wish had never happened. Try to live with no regrets. Posting about your love life on facebook makes you look, well... a bit crazy. No person on the face of this planet wants their love life exposed online for the world to see. Making it worse yet is the family and friends who witnesses your private matters on line. This does not play any role what so ever in the healing process. Please understand, the likelihood of you working out your relationship issues as a result of posting comments on facebook, twitter, or instangram is extremely unlikely. In fact, it creates more reasons for the person breaking up with to keeping moving on. 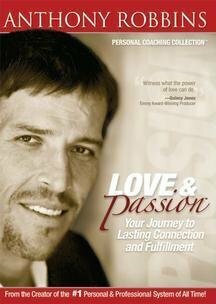 We all go a bit off the deep end during relationship issues and yet this is not a time you want to define you. The best way to avoid a flaw in your image is to avoid posting negative comments about your relationship or the person you were involved with. The social media breakups etiquette on what you should and should not do online. Are you being defriended on the facebook of love? Has the once great relationship ended and now your dealing with what to say or not say online about the break up. The temptation to use social media as a venting tool or one for revenge is great. You may even be encouraged by others to do so, but think about it. Do you really want to put yourself out there regarding such a personal sensitive matter? No you do not! Avoid the social media apps on your phone and computer until you feel more like your happy self. Who Is This Facebook Breakup Guide For? 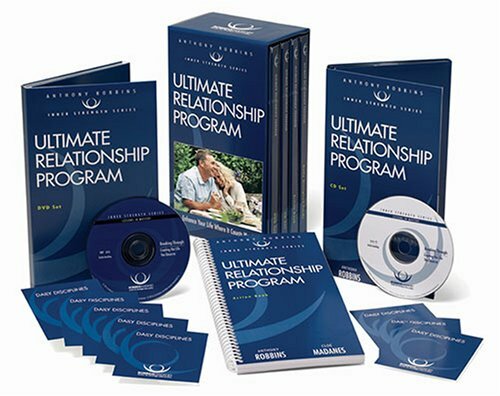 If you’re a person that’s been stuck in a relationship with someone who seemed impossible to get rid of this is for you. If you’re the person who dug your heals in and refused to accept the fact your relationship is over, this is for you as well. Today we’ll share the facts and feelings of both parties in order to help those of you stuck in such a break up bump in the road get past it and move on. There are many signs a person has fallen out of love with you. If you're the one questioning the finality of it all this will help you to confirm the truth. Today we’ll take a look at those signs. Knowing the signs is not enough for many people. Those who refuse to face the facts and just go with the break up insist this is just a phase and it will pass. The big factor for those of you choosing to believe this is your lack of respect for your partner or soon to be ex, if not already. A person considering a break up should not let a partner who refuses to face reality pressure them into staying together. You see when you refuse to acknowledge the feelings of the one telling you they have fallen out of love with you, you make it worse. You make them want to distance themselves from you permanently hurting any chance of a future friendship or reconciliation. Many couples have broken up and got back together years down the road. But it never happened because someone wouldn't give the other space or they commented about the relationship publicly. You make this person feel you only care about what you want. When you refuse the break up it puts you in a bad light. The person will feel as though you’re selfish and feel your happiness is all that matters. This confirms the entire relationship was a mistake from the beginning. If you hope to have any future contact with your ex you will need to follow some basic rules of respect. If you hope to save the relationship you must be respectful of the person who’s falling out of love with you, back off, and give them space. The only chance you have is to respect and honor the break up. Respecting the other persons feelings and giving them time to themselves proves you in fact are a person they can trust and include in their life down the road. But you have to give them this time, the crucial time needed to regain their emotional balance and clarity. How to know if someone is falling out of love with you or simply stopped falling in love with you. Often the reason a partner wants to break up with a person who refuses the break up is due to a bossy or controlling nature. Do you find yourself giving them a lot of advice and making most of the choices in the relationship? Do you feel you’re the leader and they need your guidance? You may be unable to recognize these facts about yourself and yet bossy and pushy people tend to wear on others nerves. So ask yourself if your partner is displaying any of the following behaviors. If so you have a serious relationship crisis on your hands and the best and only action you can take is to get out of their face and possibly work on your own relationship skills. Bottom line is all people need to be respected and given the space to be themselves and accepted for who they are without question. Does your partner make excuses to do things without you? Do you feel they have been lying to you about where they go and what they do?People who want out do this just to get away from you. Does it seem they are uncomfortable around you and withdrawn no longer speaking much? Think about if you do most of the talking not allowing them to talk or be heard. Have they stopped sharing the events of their day with you? They may feel its hopeless sharing with you and have grown tired of your constant advice or authority. When you’re alone with them do they easily get agitated and seem eager to be alone? This means you have seriously gotten on their last nerve and they desperately need some time apart. Have you done things you know will upset your partner in hopes of ending the relationship? This is for those of you longing to break up as you feel such a strong desire to get out and yet forced to stay you may begin to push back as the desire to be free is growing stronger and stronger changing your nature as you realize yourself being backed up against a brick wall. Don't allow the entire social community to have access to your relationship problems. The worst thing you can do when it comes to a possible split is to post it online. In fact if you cannot control the urge to do so you should avoid going online to twitter, facebook, instagram or facetime. The power of social media makes everything you share online available to everyone you know. While you're hurting you may feel the deep intense desire to out the person your fighting with. This only leads to more pain. The pain will be for both you and the person you're breaking up with. Be careful not to do anything you will regret later. Once you put it out there on social media you cannot take it back. You can later delete it but think about how many people may have already copied it and shared in with others. Do yourself a favor, avoid going to social media sites until you get your head on straight. 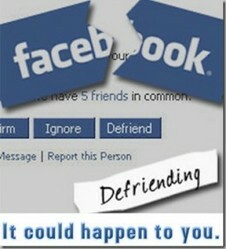 Avoid defriending this person regardless or whether they defriend you. Vent to a friend you can trust in private, not via email or instant messages or anything of the sort that creates documentation of this process of recovery. Keep it face to face or on the phone and private. You should never be judged or measured by the trying times in your life. It is unfortunate but sharing information about these times creates a time capsule you might later wish had never happened. Try to live with no regrets. Posting online about your relationship is a controlling act and one proving you are trying to keep the person with you for fear of public humiliation. If you’re experiencing any of these warning signs in your relationship change is needed as your partner is growing resentful of you. Bottom line is this; if you continue pushing your partner to stay together they will continue to grow more and more resentful of you. if so your just being pushy and controlling. Many people have control issues. You should determine if your one of those people and if so work on correcting that for no one feels good in a controlling relationship. Finally, if you're the person being made to feel trapped in a relationship and as if breaking up is not an option remember this, your freedom is always an option. If you do not feel free within the relationship you need to embrace your freedom once again. The public comments the display online will only reflect badly on them and others will respect you more for having broken it off. katiem2, It helps to have a non-digitized, off-line, old-fashioned diary if breakee and breaker so feel the need to put cringe-worthy comments into writing. Excellent information that I wish more people would heed! People don't seem to realize that Facebook doesn't give do-overs.